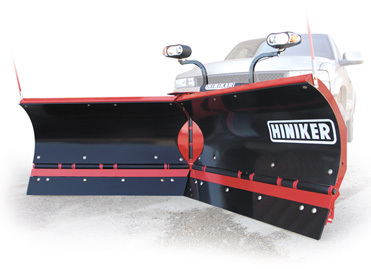 Put more muscle on the job with the leaner, stronger 9000 series V-Plows from Hiniker. Add power and profit to your plowing season with the Hiniker V-Plow. 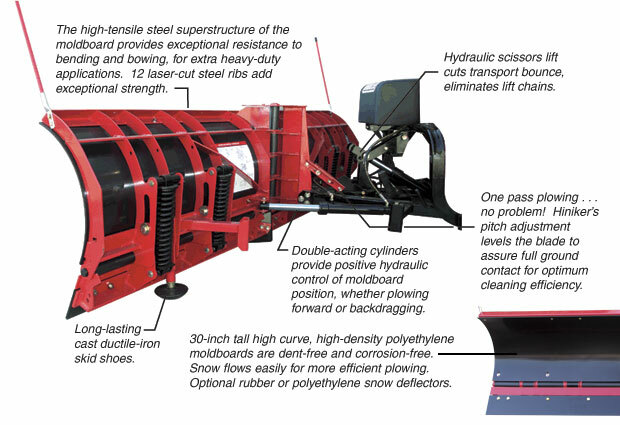 High clearance trip-edges operate independently of one another, reducing stress and twisting forces on the plow. 6″ high-carbon steel replaceable cutting edge. *Weight net of truck mounted hardware.